*Inside users include UC San Diego, Salk Institute for Biological Studies, Sanford Burnham Prebys Medical Discovery Institute, and La Jolla Institute for Immunology. Note: Some consumables are also available for purchase. Please inquire with Dr. Elsa Molina for more information. Reagents and consumables not included. *Protocols for TaqMan and EvaGreen available. Not compatible with SYBRGreen. Measure concentration and purity of DNA, RNA or protein samples. Detect and quantify RNA, DNA, and protein from the same sample in as little as 15 minutes and up to 770 targets with the nCounter SPRINT. The Olympus FluoView FV1000 opens new frontiers in live cell imaging with advanced technologies that provide improved sensitivity and high scan speeds for imaging live organisms with minimal specimen damage. The innovative, Olympus-developed SIM Scanner incorporates two independent, fully synchronized laser scanners in a single compact design for simultaneous laser stimulation and confocal observation. Rapid cellular reactions that occur during or immediately following laser stimulation may now be captured without a time lag. Such studies of rapid cellular responses can provide important insight into how various cellular mechanisms operate. 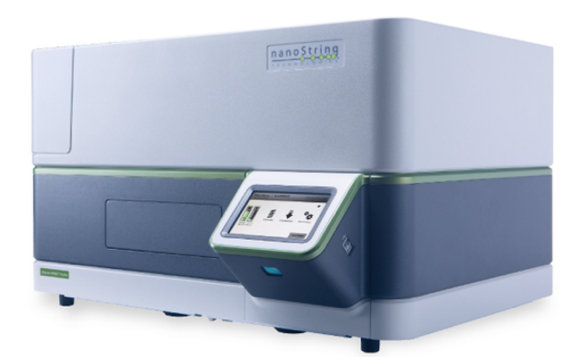 This makes the FV1000 ideal for such advanced techniques as FRAP, FLIP, uncaging, photoactivation and photoconversion. Powerful, dual-core processor quickly and accurately quantifies DNA, RNA, and protein, in <5 seconds per sample. Uses as little as 1 μL of sample. The ROSALIND™ platform provides a biologist-friendly experience with instant results to visualize, interpret and discover more in your data. ROSALIND™ offers researchers, biologists and life scientists’ solutions to analyze their own data without needing prior bioinformatics experience. ROSALIND is intended to speed up and simplify the process of genomic data analysis from experiment setup and QC to interactive data visualization and interpretation. > Create your free account here! Please inquire with Dr. Elsa Molina for more information on pricing and training. The PTC laser concept of LSM 780 is revolutionary in confocal microscopy: the system uses pigtailed lasers directly on the scanning head. With up to eight ports, you couple near-UV, VIS and IR lasers in many combinations. The spectral recycling loop of LSM 780 amplifies signals by feeding the unseparated part of the emission light through the grid a second time before adding it to the complete signal. When used with the QUASAR detector, you will reduce dark noise by two-thirds and significantly improve the sensitivity of your microscope. Please contact Dr. Elsa Molina for further training information.